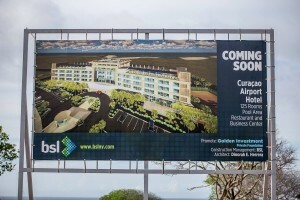 WILLEMSTAD – One more hotel for Curaçao. The starting signal for the construction of the new Airport Business Hotel in the Hato Office Park was given this week. This hotel is specially designed for the business travel who wants to stay as close as possible to the airport for a short period for business or transfer. The rooms are also different from other hotels. They are smaller and focused on work. 21 million dollars will be invested in the construction of the hotel and the development of the surroundings.